Everyone knows that Christmas is the season to shout at your significant other or parent: "Buy me BONESTORM or go to hell!" That's because it is, after all, the most wonderful time of the year. No, not because of the snow and the food and the familial love, but because of the dump truck-load of games and gaming consoles released upon which you can play. Every year Nintendo, Sony, Microsoft and more pour out the AAA fruits of their labours, so to speak, and with extended holiday time and the typically shocking British weather you've actually got time to play them for once. As such, here is T3's roundup of the best gifts for gamers for Christmas 2016, all part of T3's awesome suite of Xmas gift guides. Arguably this year's most sought after gaming product, the NES Classic Mini is all kinds of goodness, packaging together 30 classic Nintendo Entertainment System titles in one micro form-factor box. It's powered by USB too, meaning super accessible plug-and-play joy. The only issue you'll have is getting your mitts on one for a sensible price, as the initial run sold out like hot cakes. The only console in the world that comes equipped with a state-of-the-art 4K Ultra HD Blu-ray player, the Xbox One S is a fantastic all-round entertainment system. Indeed, Microsoft's smaller, whiter console made a very favourable impression on us here at T3 Towers, with its slick UI, good selection of games and knockout controller making it a joy to play games on. It's recently had a pre-Xmas price drop too, so now is a fantastic time to pick one up if you've been looking to get your game on. Simply put, the most powerful gaming console in the world. Yes, the PS4 Pro is a pixel-pushing powerhouse of a gaming system capable of running both new and old games alike at 4K. The massive raw power contained within the system also allows Sony to improve framerates in games or add in new features, such as enhanced physics. 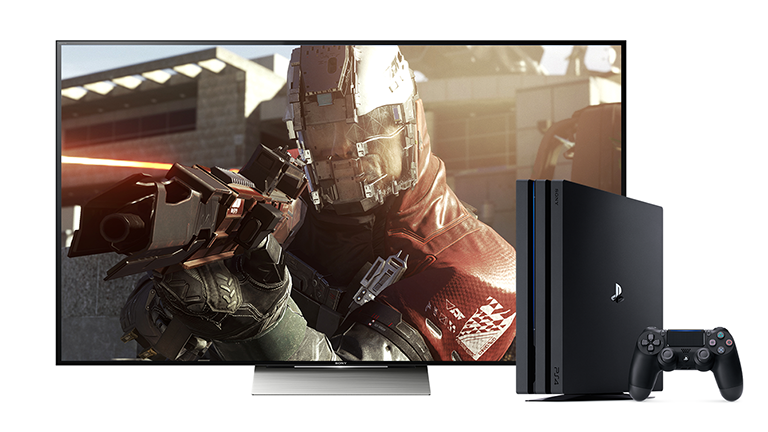 It doesn't have the Xbox One S' Ultra HD Blu-ray player, however if all you want is the most retina-searing, AAA gaming experience, PS4 Pro is the system for you. Another super-hot gaming product for Christmas 2016, PlayStation VR delivers the most affordable, easy-to-set-up VR system in the world right now. It's not just all about the hardware though with PS VR, with Sony boasting a best-in-class library of VR games to play too, ranging from epic action shooters such as Eve: Valkyrie to VR experiences such as Batman: Arkham VR. What's more, while the system works best with PS4 Pro, it does a great job on all PlayStation 4 consoles, meaning you can step into the world of VR if you are rocking an original PS4 or the new PS4 Slim too. One of the very best VR games out there right now for PlayStation VR, Eve: Valkyrie puts you in the role of a space fighter pilot and then sends you off into a number of spectacular, Star Wars-esque dog fights. Massive capital ships can be zoomed around while huge futuristic cannons and missiles can be trained on your foes. If you've always dreamed of becoming Red 5 then this is the VR game for you. T3 has reviewed all of the best gaming headsets this year and the Astro A50 Wireless + Base Station is one of the absolute best of the bunch. Offering Dolby Digital 7.1 audio, a 5GHz wireless connection up to a maximum range of 30 feet, a 15-hour battery life, a super slick docking station and PS VR compatibility, the Astro A50 Wireless + Base Station will allow you to keep gaming well into those cold Christmas nights. If you take your Xbox One gaming seriously then the Xbox One Elite Controller is definitely worth a shuft this Christmas. It costs twice the price of a normal Xbox One controller, however, the build quality and feature set are just superb, with hair triggers, interchangeable sticks and four extra buttons kick starting the action. The fact that it is incredibly comfortable too makes this the king of Xbox controllers. One of the hottest and longest-desired titles for Christmas 2016 is the PlayStation 4 exclusive The Last Guardian. From visionary game maker Fumito Ueda, The Last Guardian sees you take on the role of a young boy as he attempts to navigate and survive a fantasy world alongside a half-mammal-half-bird dragon-like beast called Trico. Only by forming a close bond with the creature will you both survive. This looks absolutely stunning too, especially on the 4K PS4 Pro. The original Dishonored riffed and reworked a Count of Monte Cristo plot line to great effect, with a tale of vengeance licencing the player to act as they saw fit. Dishonored 2 delivers more of the same, however this time the world you inhabit has been significantly fleshed out, with the game's original setting of Dunwall (think of a steampunk Victorian London) replaced for most of the game with the foreign and beautifully realised city of Karnaca. Mature and thought-provoking, Dishonored 2 is a must play this Christmas. We've got a soft spot for Final Fantasy here at T3 Towers so we were pleased to finally get our hands on XV, which has received good reviews across the board. This latest edition of the game not only looks absolutely stunning (especially on PS4 Pro) and has a huge open world to explore, but also successfully manages to deliver for both die-hard franchise veterans and complete newbies. If you want to lose hours in a entertaining and heart-filled JRPG this Christmas then Final Fantasy XV will certainly not disappoint. There's nothing not to like about the Razer Blade Stealth. It's super thin, lightweight and mega powerful, with a 4K screen powered by a 7th generation Core i7-7500U. With up to 1TB of storage, 16GB of dual-channel memory and, best of all for gamers, compatibility with the Razer Core, the Razer Blade Stealth is one hell of a ultrabook. Perfect for both work and play this Christmas! You can game on most handheld devices today, however nothing comes close to the mobile joy delivered by Nintendo. The hot New Nintendo 3DS XL is not only the definitive version of the console, but also boasts the best mobile gaming library on the market today. If Link took the bus to Hyrule Castle, he’d definitely pass the time on one of these. Pokémon Moon is the fastest and best selling Pokémon game of all time and, after playing it, it is easy to see why. The same collect-em-all romp has now been polished to the Nth degree, with a fabulous combat system and overall world design on show throughout. All your favourite Pokémon touchstones are here too, such as the comedy rival Team Skull, moody antagonist and bizarre locals. Seriously, if you were called "Lumberjack Steve" would you keep a level 37 Jigglypuff in your back pocket? As such, if you're looking for a Nintendo 2DS/3DS game this holiday season, then Pokémon Moon (or Pokémon Sun if you prefer) is a great option.